I’ve been wearing eyeglasses since I was 12 years old. My eyesight deteriorated pretty quickly once I hit my tween years. It was almost like one day I could see the chalkboard at school and the next day it was really blurry. I tried contact lenses, but my eyes are so dry and sensitive that I can always feel them in there. My glasses are my eyes and I treat them like they are precious cargo. Without them, I can’t see a foot in front of me. Yes, I’m very near-sighted. I’m actually due for a new pair pretty soon. I don’t need a new prescription (happy that I haven’t gotten worse! ), but I’m ready for a new look. The ones I have now are thicker black frames and I’m thinking of going with something a little smaller with a metal frame. The only thing holding me back at this point is the cost of glasses. My current pair cost me almost $600 three years ago. I guess I was just trying to make these ones last as long as I could before I shell out the big bucks. If you are holding off on purchasing new glasses because of the cost, you will want to continue reading. 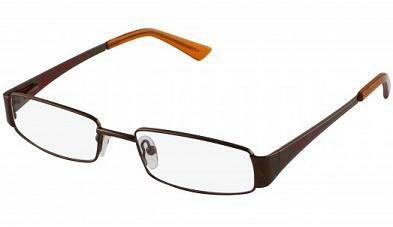 I recently discovered a website that offers affordable eyeglasses at fantastic prices. Seriously, these prices are pretty spectacular. You can get a complete pair of eyeglasses starting at only $27 at OnePlanetGlasses.com!!!! Pretty great right? I was wondering about quality and I learned that they only carry about 300 frames (out of a possible 10,000) to maximize the quality and keep the price low. In fact, right on their about page it says, “In short, we know “junk” when we see it–and we refuse to sell it. You deserve only the best–and that’s what we deliver!” The lenses are made at the exact same labs as the major eyeglasses retailers that we all know so the quality is on par. The only difference is a MUCH better price. I like that their site is easy to search for what you want. For example, you can search by Men/Women, Price, Face Shape, Frame Size, Rim Type, Material, Frame Shape and Colour. The price you see for the frames is the price you pay for your glasses. Lenses are included in that price! Normally the lenses are added to the price after the fact, so its usually a shocker when you get the bill. It’s better to know upfront the total cost. If you want an idea of what you will look in your frames before you purchase, then check out their Virtual Try On. Here you can use an existing model OR upload a photo of yourself and see what the frames look like on you. This would be very valuable for me since I can’t see what I look like in glasses without my prescription. So when I try glasses on, I still can’t see even if I stick my nose up to the mirror. When I bought my current glasses, my sister came with me and put the glasses on so I could see what they would look like. For payment OnePlanetGlasses.com accepts all major credit cards and Paypal and they offer free shipping on orders over $99. Currently they are only shipping to US customers, but they are looking to expand internationally sometime in 2012. I’ll be waiting to buy a pair of glasses when they do start shipping to Canada. They also offer a one year warranty for frame defects caused by the manufacturer. Another way OnePlanetGlasses.com is different is that their site is run by real, live people and it shows!! Check out this page where you meet Ashley, the manager of Awesome! And to make your experience a little more “awesome”, you will get a little surprise after you make a purchase. My lips are sealed as to what that is, but it’s definitely something that you won’t receive at any other eyeglass retailer! Shhhhhh…..
OnePlanetGlasses.com also gives back by donating a portion of each sale to the charity, Unite for Sight. They help people in need get prescription eyeglasses. Check them out and use the coupon code to below to save even more $$$! 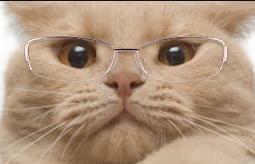 It really amazes me what kind of great deal you can get when buying eyeglasses online instead of at an optometrist. I know after I bought my first pair for less than 10% of what I would pay at my eye doctor’s office, I have never turned back. Besides, after saving the money, I can buy some cool colors that I like without worrying about breaking my budget.